SNAFU! 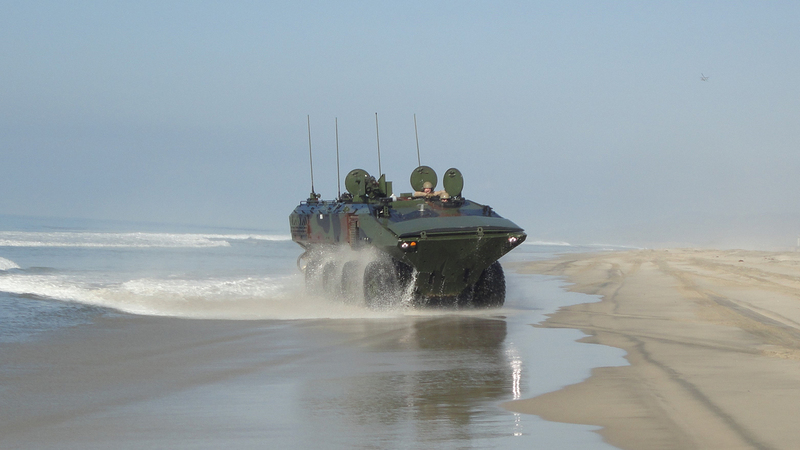 : Why can't we make the ACV into a 6x6 and turn it into our next Amphibious Recon Vehicle??? 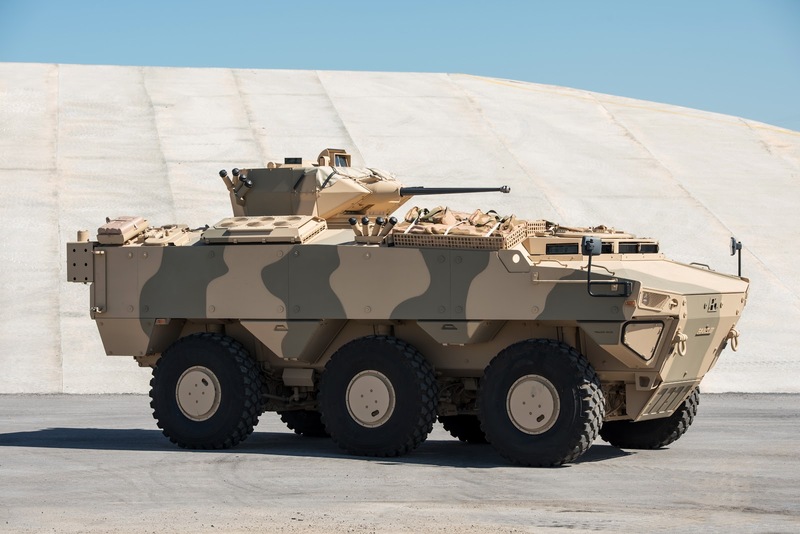 Why can't we make the ACV into a 6x6 and turn it into our next Amphibious Recon Vehicle??? 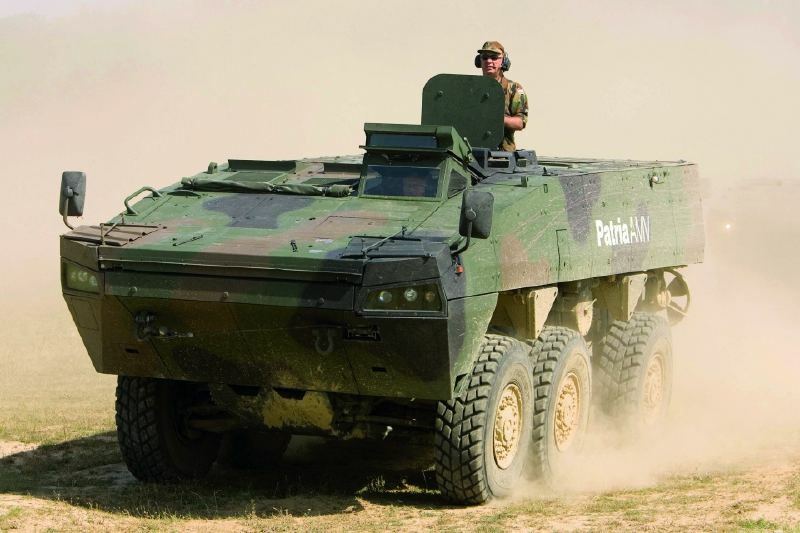 The USMC had good news and bad news this week when it comes to its armored vehicles. First the good. The ACV is going to become a family of vehicles and they're already looking at upgunning the beast. The bad news? The replacement for the LAV-A2 is more than likely gonna be canceled. It was an ambitious program and I doubt that industry would have been able to meet the request anyway. But all is not lost. We have the base vehicle we need. The ACV. Many that lack imagination or have an impulsive response to any challenge of "we can't" then the talk is that the vehicle is too big. 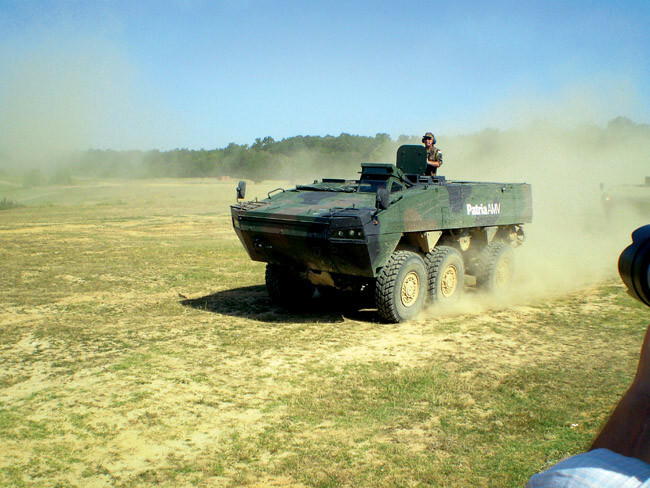 Yeah in this form its too big but we can make it into a 6x6, or rather BAE should be able to and if they can keep the basics of this ride intact then we'll have a vehicle that can swim ashore, have excellent mobility and hopefully enough room/power generation and carry to accommodate all the bells and whistles planners want for the next gen amphibious recon vehicle. 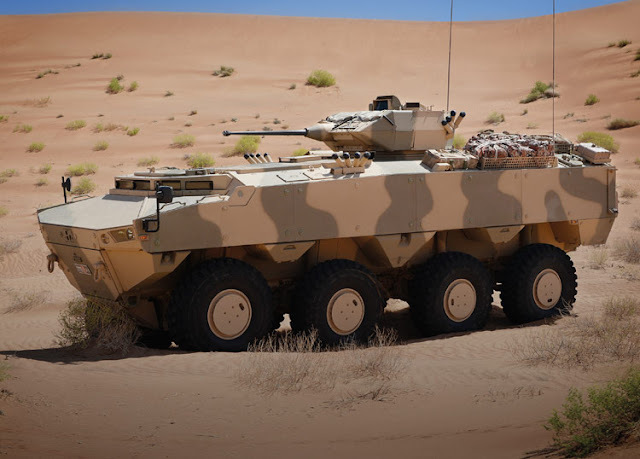 The absolutely awesome Patria AMV. It has a stablemate in 6x6 form. 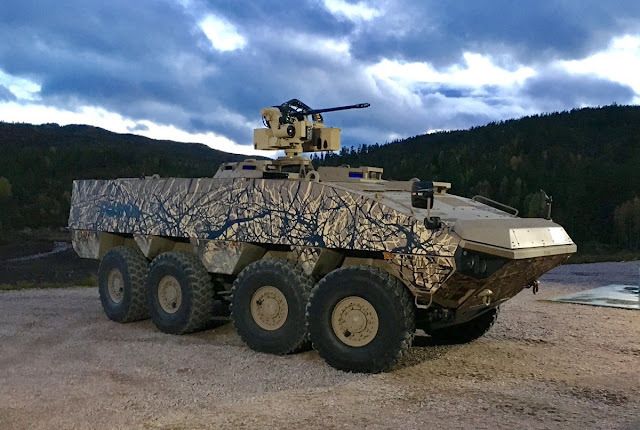 FNSS has the PARS 8x8. It's stablemate only loses size in comparison but still retains all of its bigger brothers capabilities only in a smaller size (gives up carriage capability but you get the point). The VBTP-MR Guarani (Portuguese > Viatura Blindada Transporte de Pessoal - Média de Rodas; "Armored Personnel Carrier Vehicle - Medium Wheeled Type") is a 6×6 armoured personnel carrier developed by Iveco and the Brazilian Army as part of its "URUTU-III" modernization program aimed to replace all EE-11 Urutu by 2015. The 8x8 version of the VBTP-MR is the base of Iveco's Superav armoured personnel carrier. 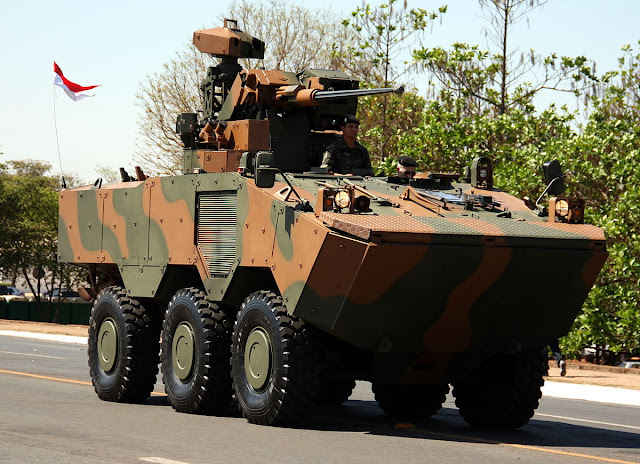 In the program other Brazilian Companies also participated, such as IMBEL (Communications), ELBIT (Armaments), Usiminas and Villares [pt] (development of national ballistic structural steel). The USMC should investigate the possibility of adding ONE MORE VEHICLE to the ACV family of vehicles. A 6x6 based on the ACV. If it can built with 90 percent commonality (if not greater...it should be damn near 100 percent in my opinion) then we're looking at simplified logistics, training and maintenance. We would in effect be necking down our armored vehicles which will be a cost savings. Additionally we should see an increase in our lethality and if it can retain its open ocean swim capability then we'd even open new uses for our LAR Battalions in the coming fight.